Found tiny, brown specks on clothes, bedding, etc. No bites on family members. Does not look like lice. Mites? These tiny little "things" are even hard to see with a magnifying glass. However, they seem to like bedding, closets, clothing, and I even found what looked like them in my daughter's hair. They do not jump. Too small to know if they crawl. No bites, no eggs, does not look like lice. However, with a magnifying glass, it did look a little like some kind of fuzzy insect. Very, very hard to see. Any ideas? 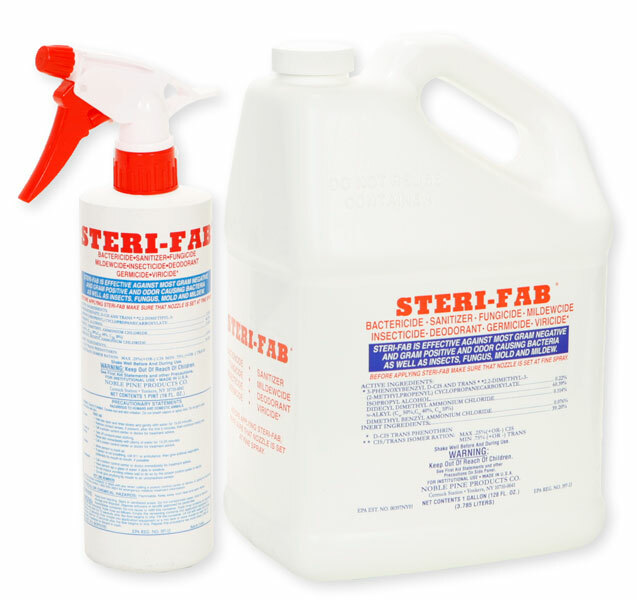 I have ordered Steri-Fab for carpets, etc. Any kind of bug makes me crazy. We have an old saying, No bites - No mites. Generally, mites can cause extreme discomfort as it is normally the immature "chigger" stages of mites that cause problems. Adult mites generally do not cause problems. So unless there is evidence of a bite or iching, redness, I would probably rule mites out. It almost sounds like springtails. However, most springtails do not cause problems. We do however have many customers that claim that springtails bite them. Sterifab is a good product to start with, as it can be applied almost anywhere. Unless we can identify what type of insect or arachnid this is - mites are arachnids, getting control may be difficult. If you have samples you can send, we can put them under a microscope and identify what it is.